Antoni Gaudi, the Catalan architect who so embodies the personality of Barcelona, produced some of the most breathtaking buildings known to mankind in a style that has rarely ever been imitated. To him, architecture was an extension of nature. Light was the most exquisite of paintbrushes and the forms he chose to embody in his walls, pillars and arches have origins traced to organic shapes. 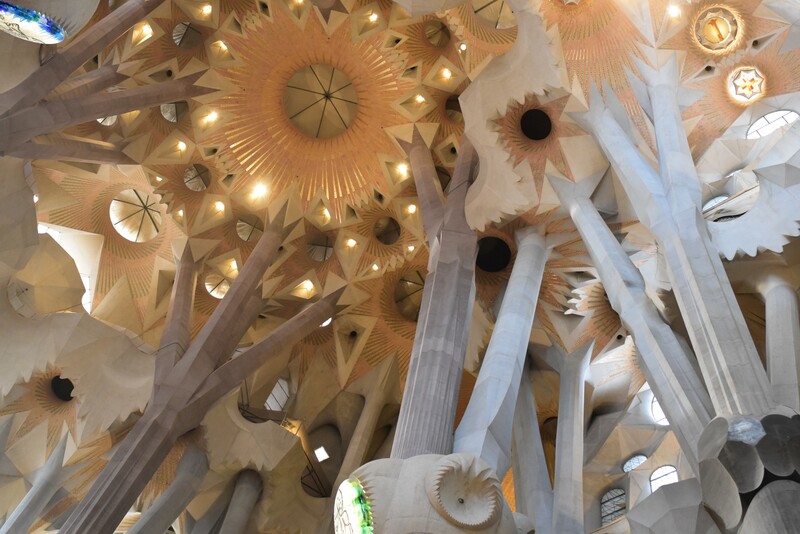 As cliche or as oft-repeated as it sounds, the Sagrada La Famiglia, really is something else; otherwordly even. 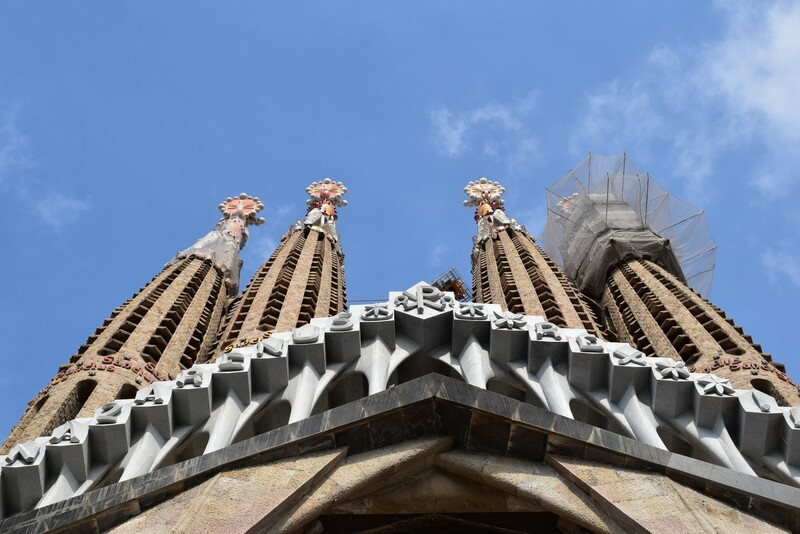 Still in the process of being completed, a century after Gaudi’s passing; the construction is now mostly on the exterior with the interior close to being finished. Superlatives don’t really do the building justice and the details of supporting pillars that jut up like trees inside the chapel are a wonder to behold, like a forest canopy of stone and glass. Gaudi’s consideration from the lighting and colours facing east and west, the religious motifs and the acoustics of its cavernous insides demonstrate an imagination of substantial heft. All in all, the Sagrada inspires and elicits awe. 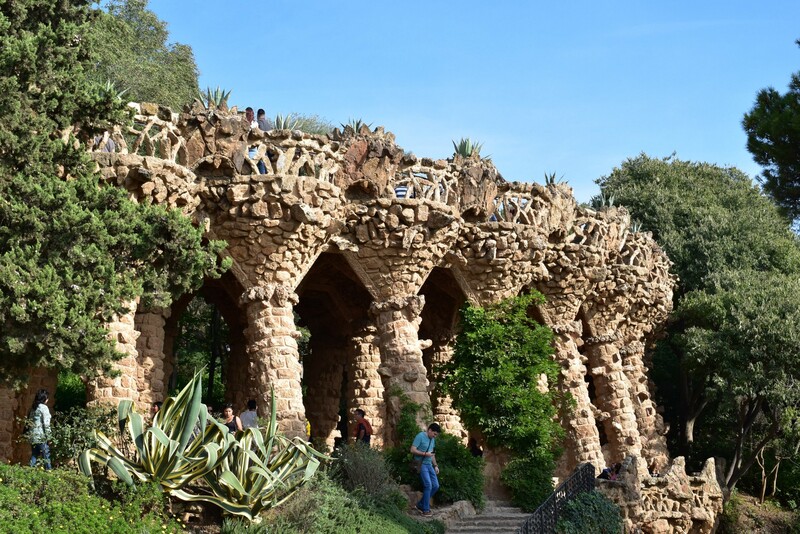 I also get a chance to see the wonderful Parc Guell, north of the city wheee Gaudi also designed selected structures and monuments to liven the civic space. 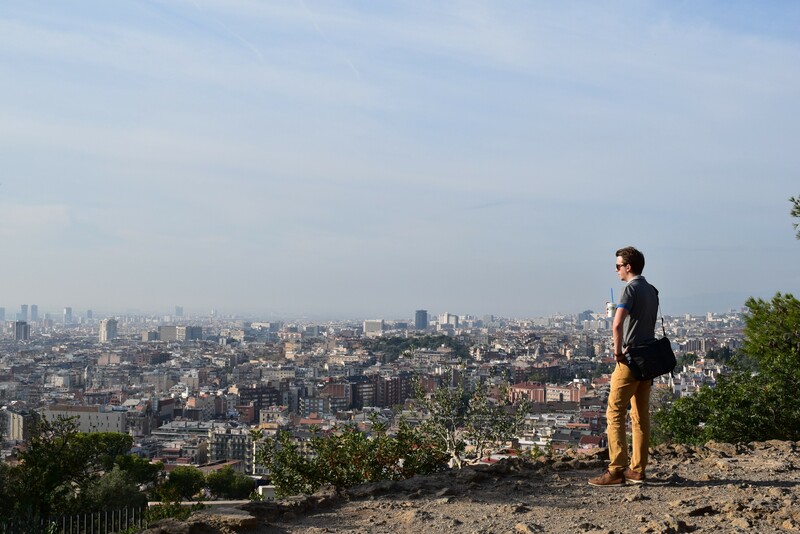 There is a nice view of Barcelona from the top of the hill, as dozens of people clamber onto a small platform to get some photos. 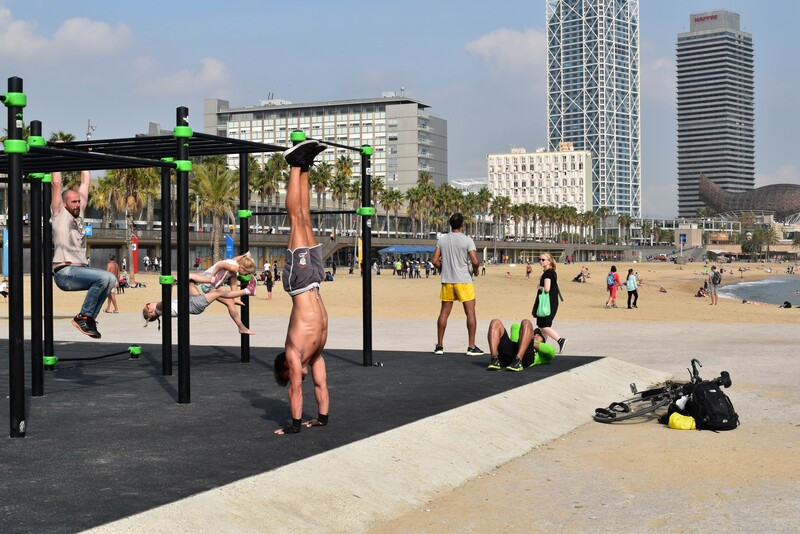 Later in the day, I walk by the beaches near Barceloneta and catch myself watching barletics, or rather, people exercising on monkey bars doing all manner of pull ups, handstands and gravity defying movements. I’m actually there for a while, fascinated by the exercise, although like all things in Barcelona, it doesn’t take much to capture my imagination in a place full of colour and life.